In our daily lives, we often face complexity, difficulties, pressure and other forms of stress. We are so busy and in a hurry doing things, anticipate the next problem or another great thing to happen, that we forget the beauty of the present moment which is unfolding in front of our eyes. 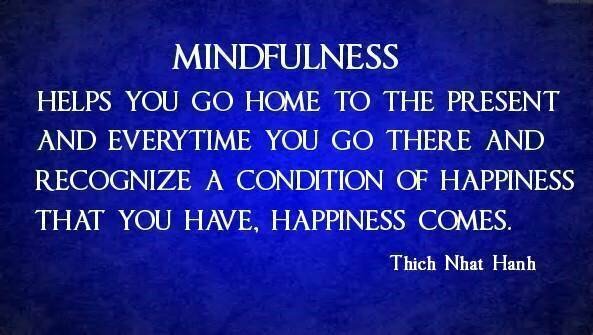 Mindfulness can help us to slow down, live our life in full and consequently feel happier. It can also help to improve our mindset and the way we live. You might have heard of Mindfulness before and not know what it is all about or maybe you never heard of it, but anyway don’t worry in either cases at the end of this article, I hope you will have a good idea of what Mindfulness is, the Mindfulness benefits and some simple techniques to start practicing Mindfulness straight away. You will have a choice to start practicing it or not. I keep reminding others that it’s very important not stop learning but, we need to put into practice what we learn, because if we don’t take any action, nothing will never change in our life. Now if you think Mindfulness is a new age fad, or just another latest buzzword I suggest you to read my post to the end, you might reconsider your opinion about mindfulness. Living in the here and now is a reflection of mindfulness. Mindfulness is an awareness that embraces the mental, emotional, physical, environmental and spiritual senses of every moment. Basically Being Mindful means to be aware all the time of what is going on inside and outside ourselves. But how can we do that? Simply living the present moment, the only moment we are alive. But how can we live in the present moment? We live in the present moment when our mind and our body are connected. How can our mind and our body be connected? Our mind and body are connected when both are doing the same thing, when we focus our attention on the present moment, concentrating on what we are doing. If we concentrate on what we are doing, it means that our thoughts are focused on what we are doing. Our mind is full of our thoughts mainly about the past and the future, well if we practice mindfulness our thoughts are connected to our present. To feel alive and happy, we need to live in the present. We need to pay attention, utilizing all our senses to be in the here and now. Notice what we see, smell, taste, feel, and hear. Note also what we are thinking and what our views are about those thoughts. Notice what we sense emotionally, especially those feelings we don’t like to acknowledge. Mindfulness is nonjudgmental observation. It is that ability of the mind to observe without criticism. We need to accept whatever is occurring at this moment. We might not like it, we might have some strong feelings about it, but it’s happening and accepting that fact is the commencement of being able to change. 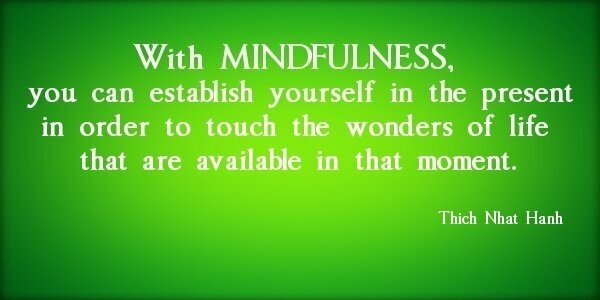 Mindfulness is awareness of change. Living Mindful for me is like practicing meditation all the time. But why? Meditation is focusing on one point, well if we focus all the time on one point, on what we are doing, then we are meditating. It is said that whatever we do with concentration and awareness becomes Meditation. When we meditate, we decrease ourselves to focusing on a large amount of thoughts, converting it into a single thing and object and converting it into positive energies. The practice of meditation can definitely help us to live mindfully. Mindfulness meditation helps also in progressing in life. Have a Stronger Focus and Concentration. Reduce tension, anxiety, and stress. Clear thinking and less emotional turmoil. Support in kicking and other self-defeating behaviors. Greater creativity and enhanced performance in work and play. More joy, love, and spontaneity. Greater intimacy with friends and family members. Glimpses of a spiritual dimension of being. You might like to read: Now even the scientists are starting to back up the theory that Mindfulness can help lose weight. I could go ahead and mention many other references from other websites, but I am not going to do that if you are still not convinced about the Benefits of Mindfulness, I suggest you to google it yourself and you will see! How can we be more mindful? # Practicing awareness of the present moment: reminding ourselves to take notice of our thoughts, feelings, body sensations and the world around us is the first step to mindfulness. # Counting our breath: among the best ways to develop mindful presence is by breathing meditation practices. # Cultivation of love, kindness, compassion, forgiveness, and other healing emotions. Several practices can help create a new awareness of body sensations, thoughts and feelings, they include: Meditation – Yoga – Tai-chi – Reiki – Qigong. This is the easiest way to bring the power of mindfulness to our daily life. It includes a brief and simple meditation routine. All that we need to do is sit still and focus on our breath as it goes in and out of our lungs, without forcing or pushing our breathing. We just have to observe it and focus on it. In the case of other thoughts creep into our mind and begin to distract us, what we need to is not worry, acknowledge those thoughts, and resume our focus on our breathing pattern each time. We can do this for 15 minutes every day. We will immediately experience a feeling of calm. This, in turn, will help us to be more aware of our feelings and thoughts with a greater degree of calmness. And with this awareness, comes the feeling to freely choose appropriate and effective responses in stressful situations rather than losing our equilibrium. I personally practice breathing exercises, many times a day, in the morning when I wake up and in the evening before I go to bed, and during the day, for instance when I am waiting in a queue, but any occasions are good to be aware of my breathing. We can set up some triggers, in order to constantly remind us throughout the day to relax, and also practice mindfulness. For instance, when our phone rings, we can take a deep breath before answering the call, and then completely focus on what the other person is saying without any multitasking. Another example, when we drive and we come to a red light, or just before entering a conference, use it as a trigger to be mindful for just a moment. It will help us to become self-aware, thereby completely transforming us and also inspiring others. I have many triggers to remind me to be connected to the present, for instance, quite a while ago I started reversing all the triggers that were making me angry to positive triggers. Now if someone “get’s on my nerves” I concentrate on breathing and it helps me to let it go. This is another technique of practicing mindfulness that can help us to become a happier person. We can take a walk in our garden or park, or anywhere in nature every day, on our own. Observe our surroundings, immerse ourselves in the environment, do not answer any phone calls, and also resist the urge to check our smartphone. Just be mindful of nature’s sounds and reap the benefits of this technique completely. I recently moved from London to a lovely village in the green county of Essex. I practice this technique every time I walk my dog and I love it! These Mindfulness techniques can definitely help us to become a better and happier person, they are wonderful tools to be happy, calm, and centered in any situation, and improve our overall quality of life. So try them right away! However, changes do not occur overnight. We need to transform to this mindful mode bit by bit. Here is a short Video about Mindfulness made by Chantal Kitto, a film maker and content creator from Manchester. Do you practice mindfulness or are you going to start, either way, let me know what you think below in the comments.